We've all been so busy actually PLAYING the myriad of releases this fall, including some awesome co-op ones, that we didn't have time to write about all the other games out there. 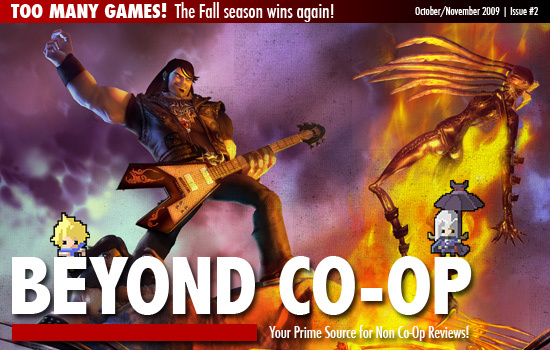 So we've combined our Beyond Co-Op reviews for October and November into a mega issue. How about Brutal Legend, Forza 3, Torchlight, Half-Minute Hero and more?